Argon’s 1 mil film is ideal for use in coil insulation. This polyimide film can also be used in motor slot liners, magnetic wire insulation, transformer and capacitor insulation.and printed circuit board masks. This polyimide film has excellent thermal, mechanical, and electrical properties that are maintained even under extreme temperatures. Argon’s 2 mil film is ideal for use in coil insulation. 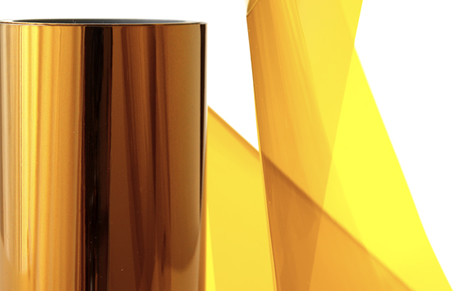 This polyimide film can also be used in motor slot liners, magnetic wire insulation, transformer and capacitor insulation, and printed circuit board masks. This polyimide film has excellent thermal, mechanical, and electrical properties that are maintained even under extreme temperatures. Argon’s 3 mil film is ideal for use in coil insulation. This polyimide film can also be used in motor slot liners, magnetic wire insulation, transformer and capacitor insulation. Ideal for applications where a heavy duty film is necessary. This polyimide film has excellent thermal, mechanical, and electrical properties that are maintained even under extreme temperatures. Argon’s 5 mil film is ideal for use in coil insulation. This polyimide film can also be used in motor slot liners, magnetic wire insulation, transformer and capacitor insulation. Ideal for applications where a heavy duty film is necessary. This polyimide film has excellent thermal, mechanical, and electrical properties that are maintained even under extreme temperatures.